Kerala Plus Two Time Table 2017 is now available from official website of DHSE Kerala. Kerala Higher Secondary board is conducting plus two examination in Kerala state. The Board is planning to conduct the Plus Two examination 2017 in March. The detailed timetable is given below. 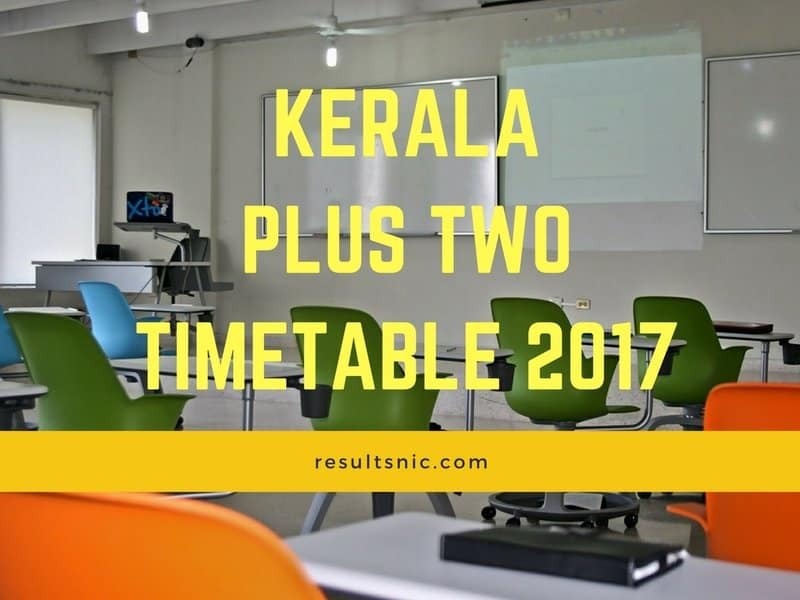 Kerala Plus Two Time Table 2017 is given below. The Higher Secondary Examination 2017 theory will be on the above schedule. More updates about the hall ticket, school details are available on the coming days. More circulars about the Examination are also available on DHSE Website. Students who are appearing for Plus Two Examination 2017 can get their hall tickets from the school itself. Students must register for the plus two examination from school itself. DHSE Kerala will issue the hall ticket in February 2017.